For hot weather riding, nothing beats a mesh jacket and if loud and proud colors and logos aren't your thing, nothing beats the Alpinestars Luc Air Jacket. 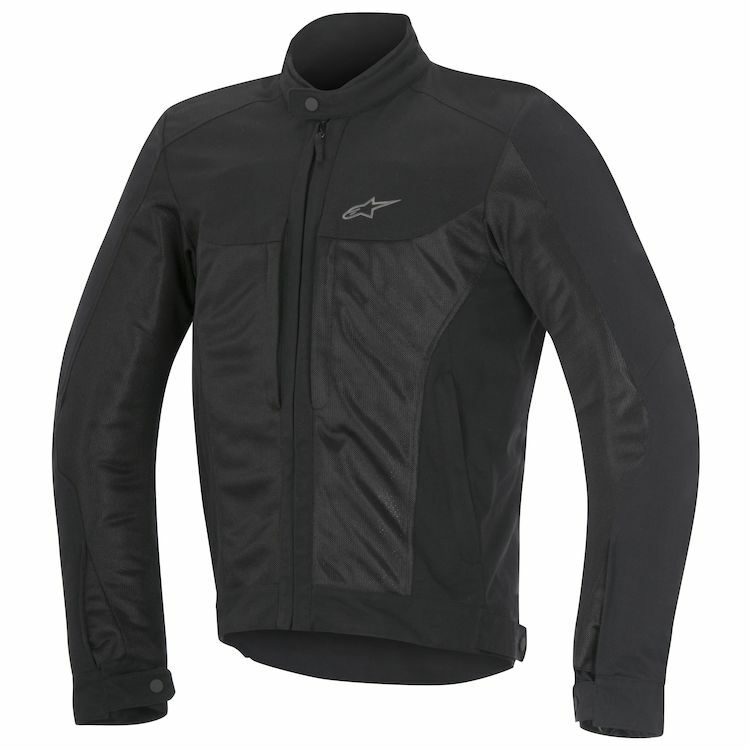 This basic black mesh jacket is constructed of abrasion resistant 480 denier poly-textile that has a double PU coating that adds the the material's durability and water resistance. Huge abrasion resistant mesh panels keep the air moving around your body, keeping you cool and dry on those balmy summer days. The Luc Air Jacket also comes with CE certified elbow and shoulder protectors as well as pockets for Alpinestars' chest and back protectors. It's a hipster jacket for the spring / summer / fall. I don't think the materials will do too much for a higher speed slide. It looks good from cafe to cafe and very breathable. I am 6'0" and 170-lbs. with a 38/40 blazer size and 33" waist. The large fits very well with the back protector inserted. The CE armor on the elbows and shoulders is a bit chinsy but they're making this for basic hot weather riding and local city commuting. For me, around Manhattan and the 4 boroughs of NYC, works well. If you're doing long stretches of highway, I'd think you'd want something more gnarly for the protection. Its a very good summer jacket. Airflow is amazing, especially in the arms. I ride around north Texas area and have worn this in 95 degree weather and at speed I am very comfortable. The only sad thing is the sipper. Didn't last a single season before teeth were getting bent and misaligned. from getting pulled up and down so much. This really is up to my expectations! The airflow is huge, you can get cold all the time you're riding and the style is also a big 5 star to this one! You can use it without showing this is necessarily a motorcycle jacket! Also, the shipping was very, very surprising! It arived at my address in Brazil in 12 day from order! 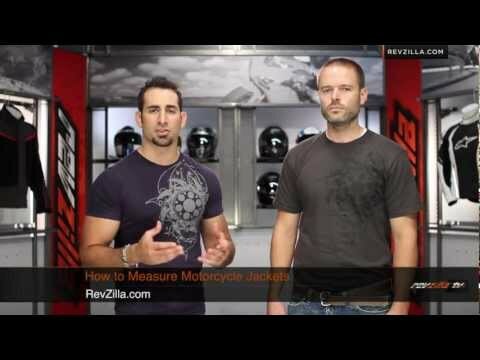 Great service by Revzilla! Great Jacket, good ventilation w/ a clean look. Love this jacket. From 50-90 F it has kept me comfortable. I''m compulsive about wearing a helmet and armor whenever I ride. I have 2 summer riding jackets. This one is definitely the warmer of the 2. Feature by feature, I wish I'd bought 2 of the other. The fit is tight. I have a 38" chest and 32" waist and a medium is tight. If my waist was 33, I'd be out of luck in zipping it up. The zippers look lightweight. I cannot confirm a zipper breakdown and maybe they are a new miracle zipper but they look too light for a jacket of this type. The ventilation is not great. Even in temperatures in the 80's, it is very warm and in the 90's I had to ride with the jacket unzipped and I was still roasting. I cannot find a pocket to remove the foam chest pads which might cool things down a little, but it still is not as cool as the other jacket that I have. I have had this jacket for just over a month of riding. Fitment is a little snug at first,not tight but snug. It breathes very well and has a lot of storage space /pockets (6 total). Overall am very satisfied with purchase and would recommend this to anyone looking for a summer jacket. So I wanted a nice protective jacket that wasn't too heavy or hot for summer, but didn't look like a NASCAR jacket with 4 foot logos plastered all over in bright colors. This one fit the bill well. The airflow feels great when riding, and it has just the right amount of pockets to be convenient. I really appreciate the protection built in which you don't really notice. I haven't upgraded the back protection, but I like that the ability is there for future should I want to. Feels comfortable going around town, and I can run errands without looking like I'm about to go on a race track. I'm 5'10"/178 cm tall, 195 lbs/88.5 kg and I wear a 42 regular blazer. The Luc Air fits me snugly without being too tight anywhere. It's very light and breathes very well. I'd want a thermal long-sleeve on underneath for extended rides under 70 degrees F. I like the clean all-black styling, though I wish it had some reflective piping or other subtle visibility enhancements. Lots of pockets with plenty of room for smaller items. This jacket has been serving me well the last few months, although in extreme summer heat its still lacking some ventilation. Works best between slightly cool to very warm weather. Great fit, slightly tailored feel, so maybe buy a size up from your regular fit. This is a great jacket at this price range. It has up to 4 pockets outside and 1 with waterproof zipper inside. Features with standard protection pads and has a good air flow, I live in LA and it didn't heat up.